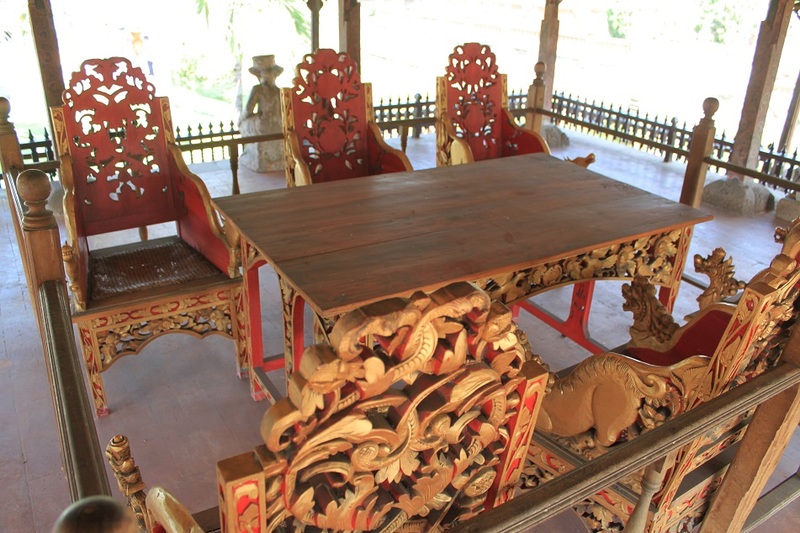 Kerta Gosa: Bali’s Palace of Justice | What an Amazing World! Men and women drowned in a river, with a fierce-looking character watching them drift away, a big buffalo on his hand. On the other side of the river an ugly giant with scabies all over his body watched the drowning mortals, helpless and succumbed. Meanwhile another grotesque character with a sword on his hand poses a menacing gesture towards an ill-fated man, defenselessly being ripped off by a beast. Those are some of the scenes from Bhima Swarga (often spelled Bima Swarga), a small part of one of the most important Hindu epics, the Mahabharata. The story focuses on the journey of Bhima – one of the five Pandavas – to heaven and hell where he witnessed the trials of humans by the Bhutas – giant and powerful creatures, often with intimidating faces – to punish those who did bad things in the world, including killing animals who are not supposed to be killed, stealing food, and being greedy. 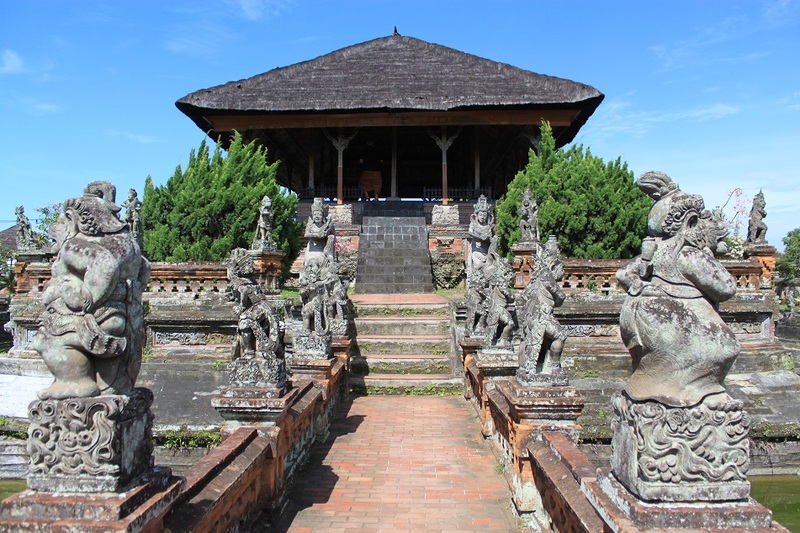 Kerta Gosa (also spelled Kertha Gosa), the 18th century pavilion inside the remains of Klungkung Palace complex in the eastern part of Bali, served as the island’s most respected court of tribunal. Cases throughout the island which could not be resolved in local jurisdictions were then transferred to Kerta Gosa for the final verdict. 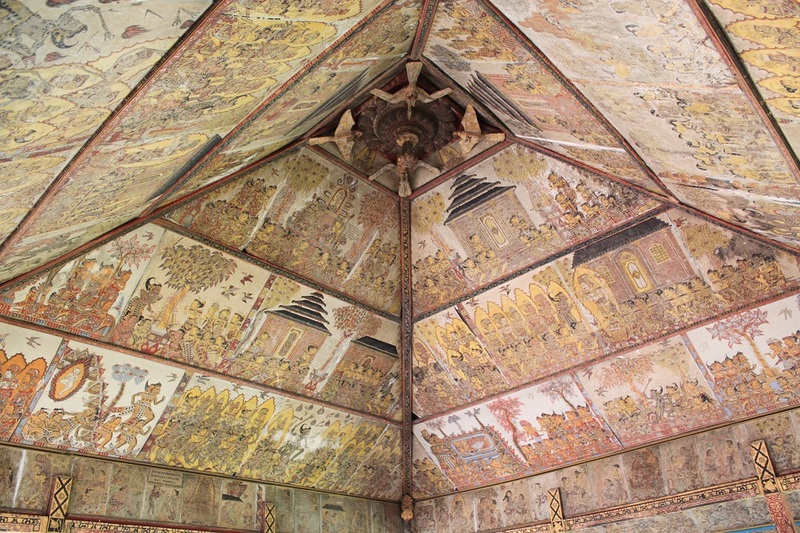 The ceilings of the pavilion were aptly painted with the scenes from Bhima Swarga, depicting the punishments in afterlife and the results of karma, graphic enough to deter any perpetrators from recidivism. 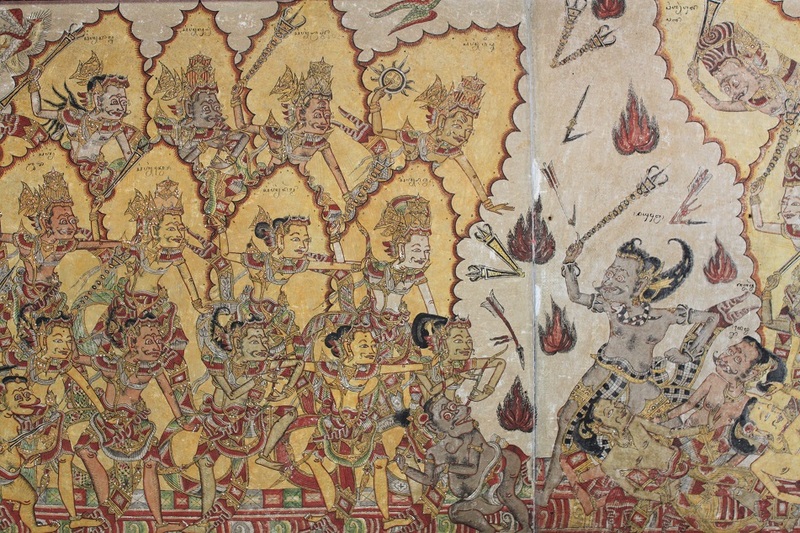 Painted in the Balinese style of Kamasan, prominent in the early 20th century, the ceilings of Kerta Gosa and the nearby Bale Kambang – the main pavilion where the king received his guests – are adorned with panels with the story of Bhima in heaven and hell. Beneath the ceiling of Kerta Gosa, six chairs – three on each side – were the place where the Ksatrias (the royal family) consulted the Brahmanas (the priests) to decide the punishments for the convicts. Off the radars of most tourists who visited Bali, Kerta Gosa is conveniently located right at the heart of Semarapura, the capital of Klungkung Regency at the eastern part of the island. After wearing a sarung (a piece of cloth to cover the legs), mandatory in most sacred places throughout the island, Alexander and I explore the remains of the palace of the last kingdom in Bali to fall into the Dutch rule in the early 20th century. The court was still used during the Dutch colonization despite implementing a newly introduced continental law system brought by the Dutch. 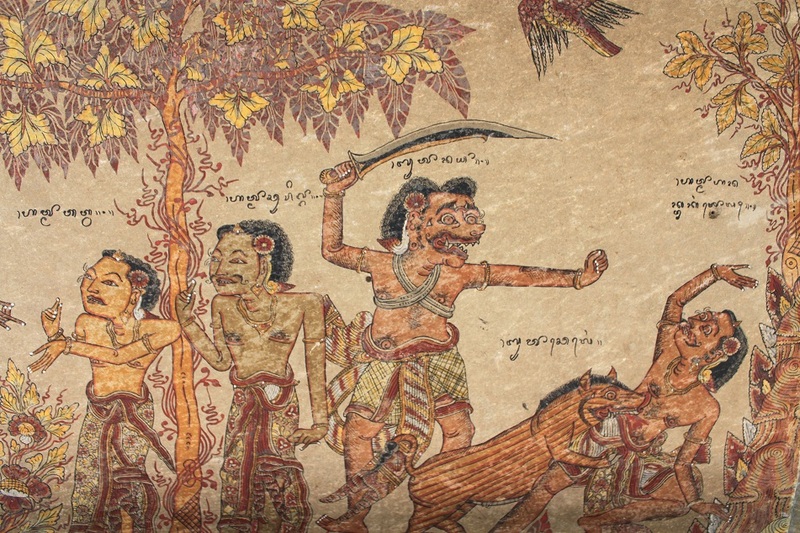 Today Kerta Gosa is merely a tourism spot complemented with a substandard museum at the far end of the compound – housing some of the most precious artifacts of the Klungkung Kingdom – and Bali continues to practice the continental law system, as is the case with other parts of Indonesia except Aceh where sharia law is enforced. 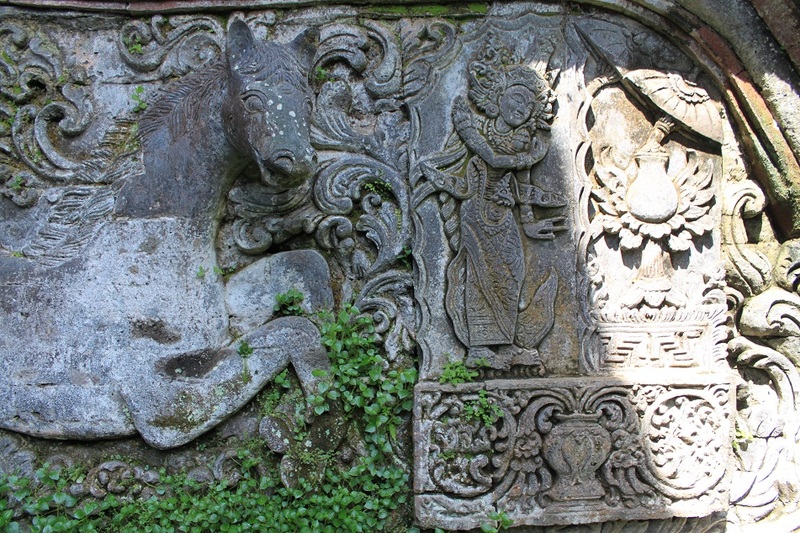 The story of Bhima Swarga is still vividly visible on the ceilings of the remains of Klungkung Palace, albeit starting to fade away, exuding the prowess and the elegance of the last independent kingdom in Bali. Glad that we had a chance to stop by there on the way to Sidemen. Seems like we used to enjoy as much as we can even though we had so limited time (like the quick visit we had in Medan:) ). But still, nice pictures mas. 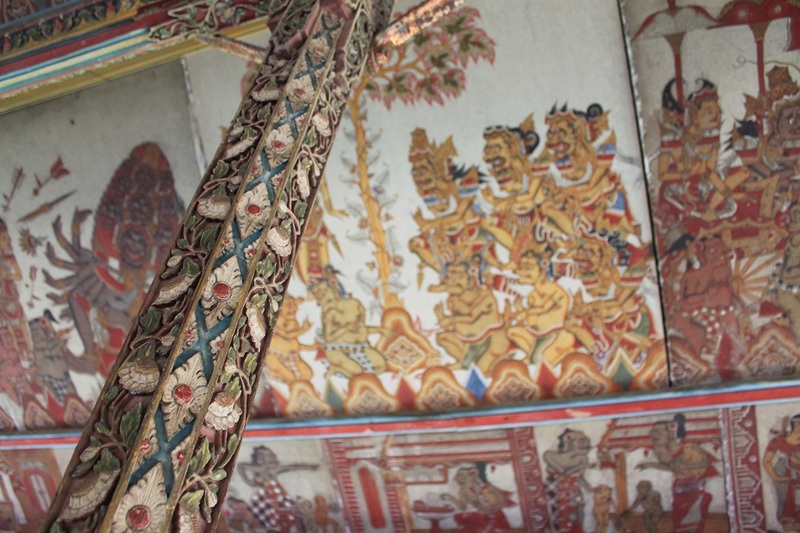 The style of the ceiling paintings remind me of wayang – you took some fabulous close-up shots, Bama! What I find really intriguing are the labels in Balinese script… I wonder just how many of Bali’s residents can still read (or write) it. Bale Kambang looks like a gorgeous place to enjoy a cup of teh or kopi and write poetry. Thanks James! Actually the style of the painting is called wayang. You really can see the resemblance with Javanese wayang, can’t you? About the Balinese script, I remember there was a time when we were in a modern cafe in the touristy Southern Bali. We asked one of the waitresses to write our names in Balinese script, and she did it effortlessly. It’s good to know that the locals still hold on their traditions despite the mass tourism. Wow, I am somehow reminded of the scary underworld-diorama halls in Chinese temples (the room in which the ashes of the dead are stored). Which temples do you mean? I might want to go to one of them one day. 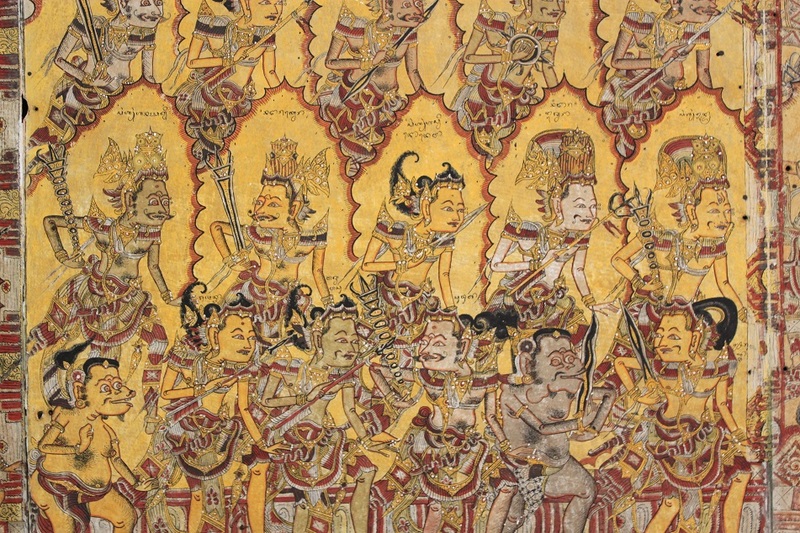 It’s unbelievably similar the wayang style in Bali with the one in Java. Well, after all they both share the same root. I stayed in Legian for almost 2 months. 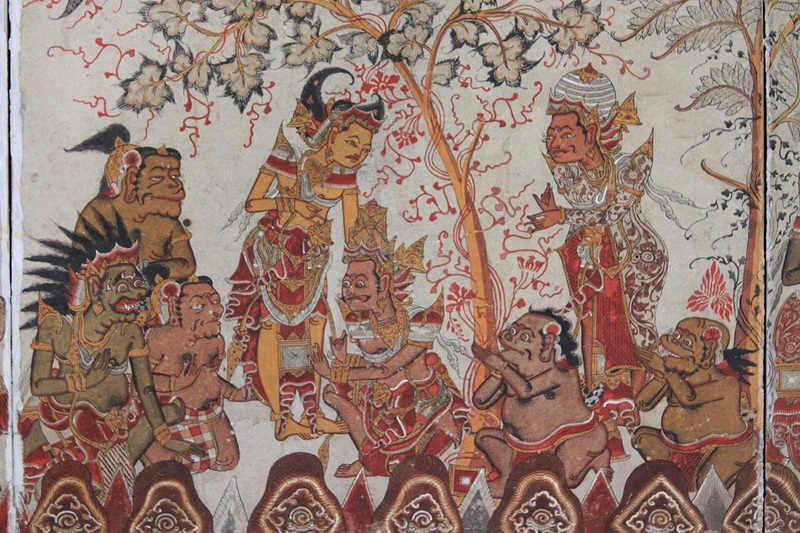 I have seen how much the Balinese culture was influenced by Javanese culture. After all, wasn’t there a theory saying that Bali was found by an exiling Prince from Java? Most Chinese temples in Indonesia – the ones with ashes storage rooms – usually have scary murals in those rooms; especially if the temple is a Confucian temple. Traditional Chinese underworld depictions are way much scarier than the ones taught in Buddhism. When you enter any Chinese temple in Indonesia or any South East Asian countries; always ask if they have ashes storage room. you might see something interesting. I once visited a temple in Medan (North Sumatra) when I was a kid. 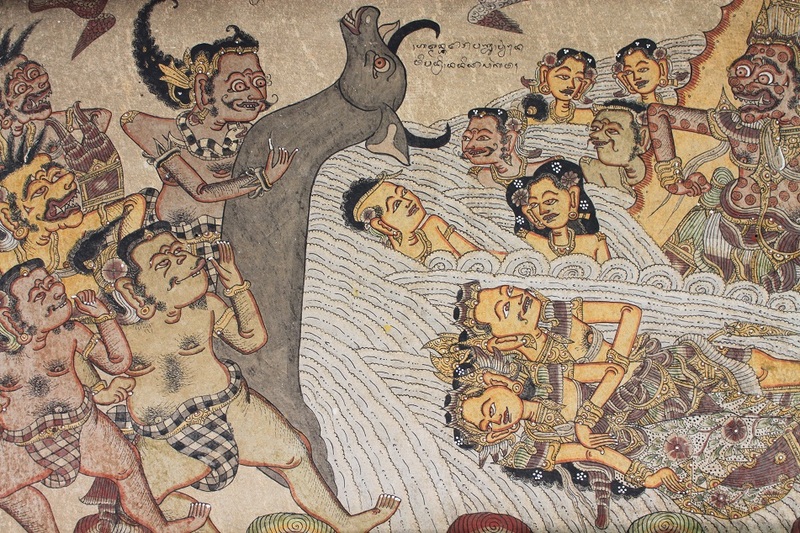 I got no clear memory about the name or location of the place, but I do remember that they got a hall filled with statues and paintings of underworld deities, punishment methods and other scary things that gave me many nights filled with nightmare! Actually the theory has been proven right, because Bali was the last stronghold of Hinduism amid the growing influence of Javanese Islamic kingdoms. Wow, I never really paid attention to the ash chamber before. Thanks a lot for giving me such a detailed information on what I should see the next time I go to a Chinese temple. Fascinating! They truly are. Thanks for dropping by Timothy! What intricate details of the ceilings you’ve captured! Seeing “heaven and hell” through those panels is like an intimidating peek into what happens when one does bad things to another living being. Thanks Dennis! I would be surprised if the convicts were not moved by those. Reblogged this on Voices and Visions. I would like to visit this place one day. Thanks! Kerta Gosa is a nice detour from other touristy places in Bali. Nice sculpture and paintings , a glimpse of our type of architectural style over here in india…………………. Exactly! That’s why I’ve always wanted to visit India because there are so many similarities between our cultures. I’m glad this post did that to you Jimmy! Kicking your wanderlust, as other blogs have done to me. 🙂 Wish you a great time in Bali! 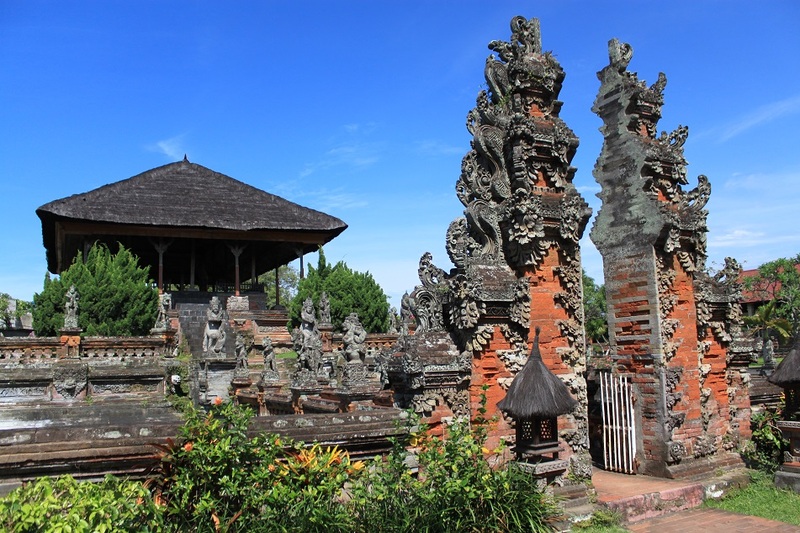 Hi Bama, another very exquisite Balinese structure. 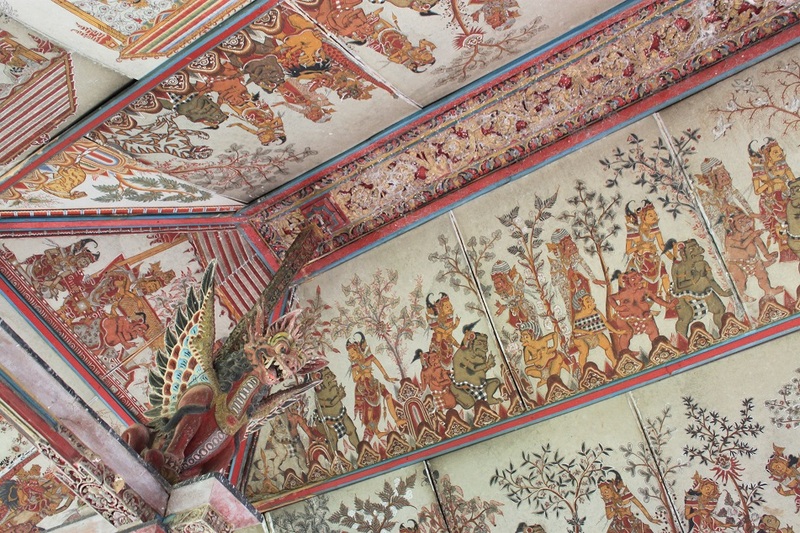 The intricacies of everything about the palace – the carving, the ceiling painting, etc – is truly incredible. I’m surprised it remains off the radar of most visitors. Enjoyed the photos. Reading this post was like reading a history book–only your description is far better than the former because of the perfect pictures complementing the words. Every reader will be magnetized to go to this place. Thanks Madhu! Bali has undoubtedly been changed by mass tourism. 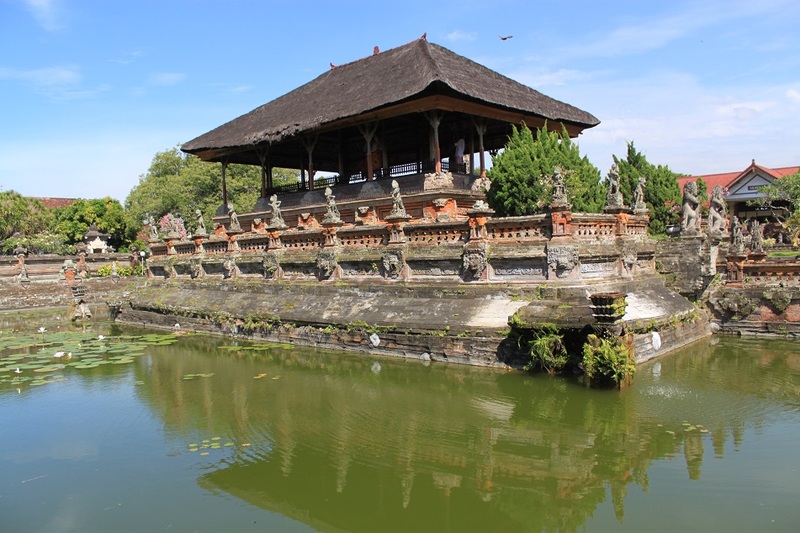 But most people go to the ‘usual places’ like Kuta or Seminyak on the southern part of the island, while there are actually many other interesting places around the island to explore. I’d be happy to give you some recommendations on what to see in Bali if you plan to visit one day. What beautiful and colorful art. Your pictures make me feel like I am on this trip with you! Great photos Bama! I think the painted ceilings are more spectacular than the actual palace! Thank you Janaline! Kerta Gosa was unexpectedly interesting, indeed! 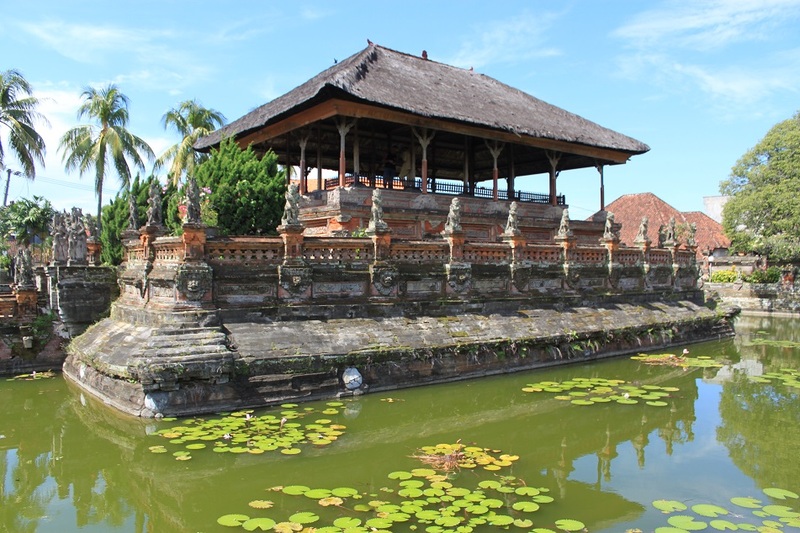 Pingback: Revisiting Bali’s Spiritual Monuments | What an Amazing World! In 1929 an Adspirant Controleur of the Netherlands East Indies government by the name of James Haar started renovation of the inside of the Kerta Gosa. He was an amateur painter. There is a (not very good) picture of him sitting holding court of law with court attendants around him and subjects of the court case in front. Thank you for the information, Hans. I’m curious with your name, though. Are you related to James Haar somehow? Wow, it’s really such an honor to have you, the son of the person who restored the paintings at Kerta Gosa, here in my blog. Thanks to your father we still can see this gem. Truly remarkable!